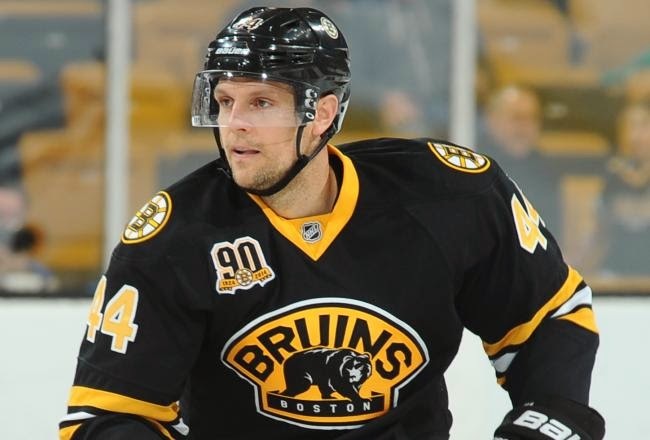 Bruins defenseman Dennis Seidenberg has been cleared for contact, signifying that a return for the 32-year-old defensive juggernaut can be coming in the very near future. According to DJ Bean of WEEI.com, after the pregame skate at the Bell Centre this morning, Seidenberg conducted one-on-one drills in the corner with Jordan Caron and Andrej Meszaros. Seidenberg has been skating since April 8, with each successive day coming with a bit more time on the ice and more strenuous skating drills. Being cleared for contact is one of the last remaining hurdles a player needs to pass over in their recovery from any given injury. Seidenberg tore the ACL and MCL in his right knee back on December 27 vs the Ottawa Senators. He underwent surgery two weeks later on January 7. The Bruins initially stated that the expected recovery period was to be six-to-eight months. It's been 18-weeks. Calling it way ahead of schedule would be putting it extremely lightly. Seidenberg told Kevin Paul Dupont of The Boston Globe last week after Boston's Game 3 loss to the Habs that he was "feeling better" and that he "could probably play right now." Bruins general manger Peter Chiarelli has been quick to dismiss the questions about a possible return for Seidenberg, holding firm to his original statements on the matter from months ago; the Bruins don't expect him back and they are not rushing him back. Speaking to reporters last week, Chiarelli simply said, "I'm not going to comment on that. I haven't last series [versus Detroit], this series." Chiarelli did state that if the Bruins could make a deep run in the playoffs this season, Seidenberg had a chance at making a return, yet only if it was in the Stanley Cup Final in June. Even then, that would put the recovery period ahead of schedule, meaning it would still be a reach to see the Bruins' #2 defenseman again this season. That being said, Chiarelli and the rest of the Bruin brass can deny and dance around the issue all they want, but the cat was out of the bag last week with Dupont's story. Being cleared for contact is the last remaining hurdle to pass before being allowed to play again. If the Bruins can close out the Habs tonight in Montreal, it would give Boston a few more days off ahead of a trip to the Eastern Conference Finals versus either the New York Rangers or the Pittsburgh Penguins. It seems almost a guarantee now that Seidenberg will be cleared to play by then.